The Team Liquid roster had a dominating season in the Summer Split for the 2018 year and while they may have had a disappointing finish at the World Championship, that doesn’t mean they weren’t a powerhouse in the North American region. They only dropped one game during the playoffs the Summer Split and were in first place for almost the entire regular season, largely thanks to their powerhouse roster. In the 2018 season, they had a roster that was composed entirely of world-class League of Legends players. They had Impact, the Season 3 World Champion, in the top lane. They had Xmithie in the jungle, Pobelter in the mid lane, and Doublelift and Olleh in the bot lane. All of these players had been to the World Championship at least once. Each player on the team had had experience with one teammate or another, making synergy an issue already solved. Now, with the 2018 season over, Team Liquid is picking up some even better picks. Recently, they acquired two major players: Jensen and CoreJJ in replacement of Olleh and Pobelter. Olleh and Pobelter were two major players on the team. 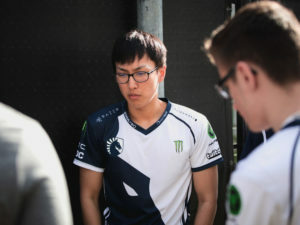 Pobelter was the player that set up the plays for Team Liquid in the team fights and Olleh was one of few supports who understood Doublelift’s deadly playstyle. But Team Liquid doesn’t have to worry that these two players are gone since they got two more players that are just as good: CoreJJ and Jensen. 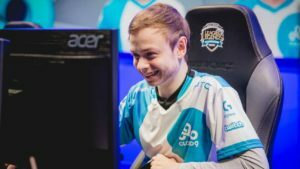 Jensen, since his arrival onto the pro scene, has always been a top three mid laner in the NA LCS and a top fifteen mid laner in the world. Furthermore, his deadly ability to solo-kill his opponents and think on a different spectrum from the other players makes him even deadlier than Pobelter at times. Grabbing CoreJJ was also a major move. CoreJJ is a World Champion and someone who’s gone against the likes of SK Telecom T1 and KT Rolster, making the experience on the team a major issue. Therefore, the use of CoreJJ will be good for both the team and their AD Carry, Doublelift. Since CoreJJ is familiar with the Korean scene, he knows the aggression and playstyle that Doublelift likes. In fact, CoreJJ is extremely familiar with it since his former AD Carry was Ruler from Gen.G. These two are just as good if not better than Pobelter and Olleh. Synergy still won’t be a problem since Jensen has worked alongside their top laner, Impact, and he’s also had good relations with the other players on the team. As for CoreJJ, Team Liquid has had a history of playing with Koreans so he’ll fit right in. Team Liquid got the best picks out of all the entire NA LCS. Not only did they manage to get two world class players, but they also managed to keep the rest of their major components, one of their biggest being their star AD Carry, Doublelift. When you look at teams like TSM and Cloud9, they only picked up one or two strong players. For instance, TSM’s most notable pick was Smoothie and for Cloud9, it was Nisqy from Splyce. Most of the biggest teams got weaker. 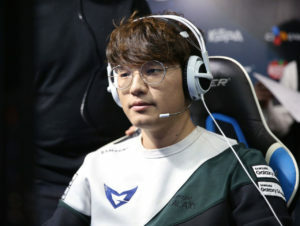 In fact, the only team that looks like it will be able to match Team Liquid next year is 100 Thieves since they got SKT’s very own AD Carry, Bang, who also happens to be a two-time World Champion and three-time World Championship finalist. However, when you match it on paper, Team Liquid still comes out on top. Right now, it looks like no NA LCS team will be even close to matching them for next year’s Spring Split. In fact, I think that they have a chance at going undefeated throughout the entire Spring and Summer Split. As for whether or not they’ll be an international threat, it is very possible that they could be. In fact, they could one-up Cloud9’s historic semifinal finish at the Season 8 World Championship. For Team Liquid, we might be looking at the very first North American World Champion.